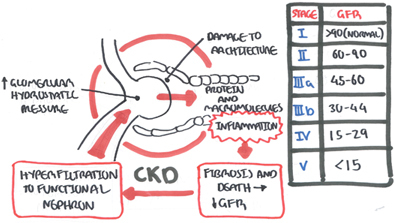 Overview CKD is responsible for a substantial burden of illness and premature death. 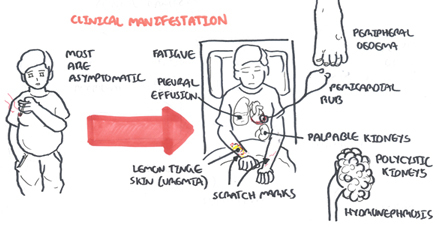 The kidneys are basically not working as good. 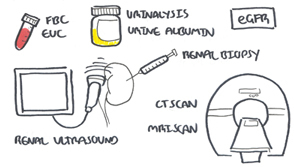 Acute Kidney Injury: Rapid reduction in kidney function over hours to days, as measured by serum urea and creatinine and leading to a failure to maintain fluid, electrolyte and acid-base homeostasis. 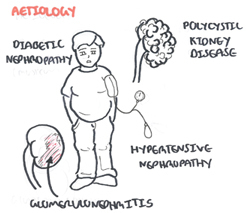 Overview Type II diabetes Mellitus is the leading cause of Chronic Kidney Disease. 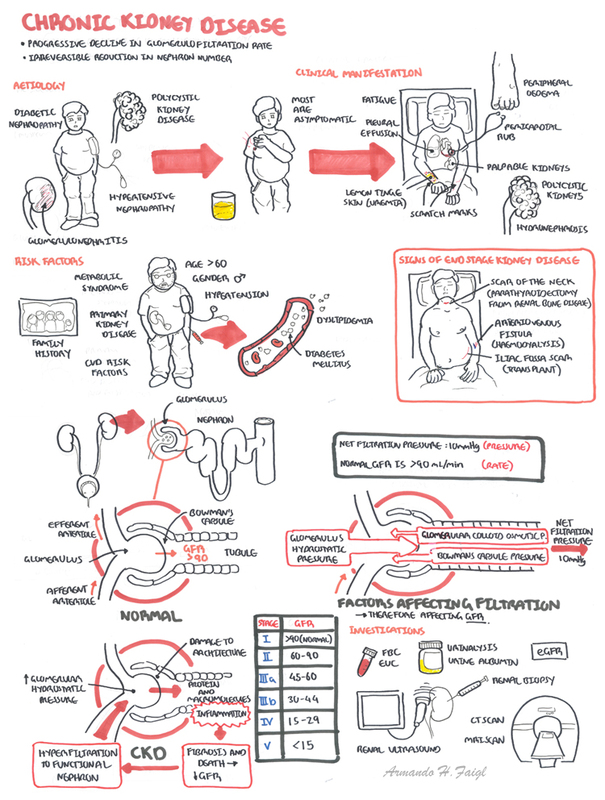 It is classified as a secondary nephrotic syndrome. 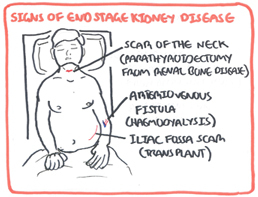 20% of people with Type II diabetes will develop end stage kidney disease. Everyone with Diabetes should be screened yearly for microalbuminuria. Class I Isolated glomerular basement membrane thickening. There is no evidence of mesangial expansion, increased mesangial matrix, or global glomerulosclerosis involving >50 percent of glomeruli. Class II Mild (class IIa) or severe (class IIb) mesangial expansion. 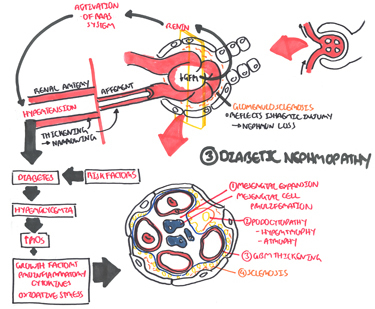 Class III At least one Kimmelstiel-Wilson lesion (nodular intercapillary glomerulosclerosis) is observed on biopsy and there is <50 percent global glomerulosclerosis. Class IV Advanced diabetic sclerosis. 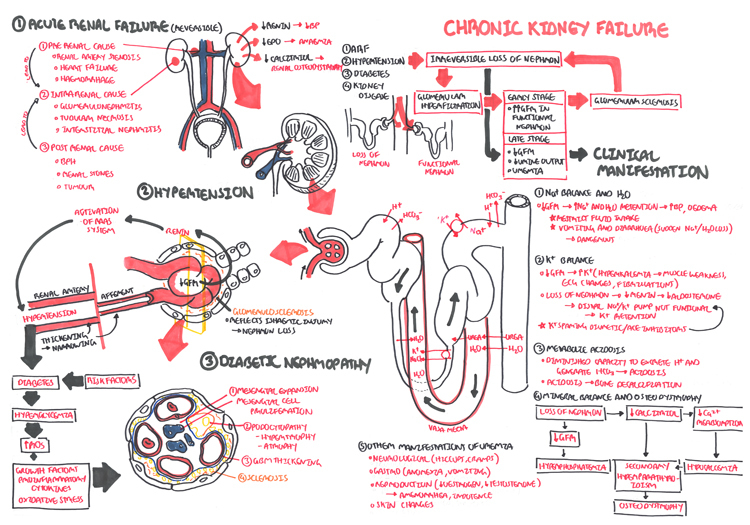 There is >50 percent global glomerulosclerosis. Management and Prognosis Microalbuminuria is reversible if caught early and managed vigorously. Fluid and salt restriction are often important to prevent volume overload. 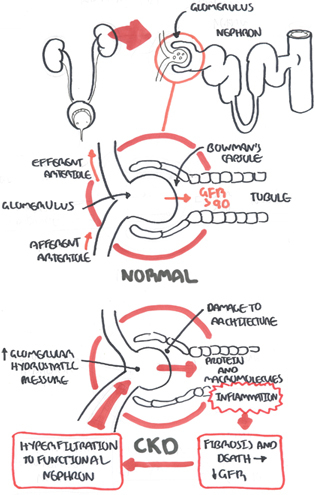 Think CKD with hyperkalaemia be careful with using ACE inhibitors or K+ sparing diuretics.